Ahhh, summer in Louisiana! We love the fun of traveling, outdoor activities, and free time inside. Yet, the season also brings its dangers that may exist year-round, but spike to alarming levels when school bells stop ringing and vacation time is here. 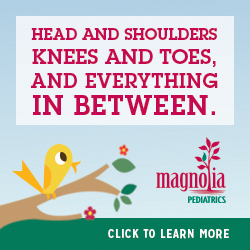 Experts at Louisiana’s Childhood Injury Prevention Office for The Alliance Safety Council report there are injuries and deaths this time of year from dangers many of us may not have been aware of. Buckling up baby isn’t enough. According to safety expert Karen Ahmad with the Alliance Safety Council and Our Lady of the Lake Hospital, “Well over 90 percent of the car seats that we inspect each year in Baton Rouge are installed incorrectly, which increases a child’s risk of injury or death.” Parents should have their child’s safety seat inspected at by an experienced Certified Child Passenger Safety Technician. Bicycle injuries jump during the summer months with almost twice as many deaths. More children ages 5 to 14 are seen in emergency rooms for injuries related to biking than any other sport. According to Safe Kids Worldwide, wearing a professionally fitted helmet reduces head injuries by almost 90 percent. However, even though Louisiana law requires children under the age of 12 to wear a helmet, less than half wear one. Light colors should be worn and highlighted or reflective colors are best. Children should always ride on the right side of the road with traffic flow, never against it. Young adults (never young children) who ride their bicycles after dark should always have reflectors and lights on the tires, although driving at night is still more dangerous. Just last month in May, three young adult bicyclists in the LSU area riding after dark were hit by one car at the same time resulting in a severe head injury for one. All three bicycles had reflectors on their tires and were on a heavily used bike path despite the car that swerved and hit them. Many parents don’t think about the dangers of their tweens and teens crossing a street. However, Ahmad reports an alarming number of injuries in Baton Rouge resulting from middle and high school students who were seriously injured doing so, and almost all were texting or wearing headphones. Safe Kids Worldwide reports that almost 40 percent of students in these age groups are using headphones or texting when simply walking across streets in summertime months. Drowning is a leading cause of death in children nationwide, but Ahmad says that in Louisiana, this preventable tragedy is particularly a nightmare. “Because we have so much water and a hot climate, drownings continue to increase here almost 90 percent more in the summer than in other months. Drownings are not just about swimming pools; they happen in bathtubs, ponds, lakes, ditches, anywhere there is water. We also lose teens from jumping off boats. And parents need to lock those pool gates and never let young children be more than an arm’s length away when they are around water,” Ahmad states. Also, partnerships with EBR Parish schools, BREC, and the YMCA have provided the Water Safety Program and Learn to Swim lessons at no cost. The number of deaths in infants from unsafe sleep practices in Baton Rouge is growing rather than reducing. “We expect to lose 80 to 90 babies this year in what we now call “Sudden Unexpected Infant Death,” states Ahmad. Following infant deaths from congenital malformations in the first month of life, suffocation is the leading cause of death in the Baton Rouge area for babies. “People think their babies are safe in bed with them when they’re at Grandmother’s house or in hotels, but they’re not,” says Ahmad. Every year in Louisiana, lawn mowers and ATVs cause major childhood injuries, according to the Childhood Injury Prevention Office. Ahmad states, “Children should never even be outside when the lawn is being mowed. Rocks and debris fly out from under them. And riding lawn mowers and ATVs are not riding toys. Too many times, a parent or grandparent takes his child for a ride on them, and all it takes is to hit one bump for the child to be thrown and end up seriously hurt. I’ve seen limbs mangled and horrific injuries. We love our flowers, green grass, beautiful waters, and all nature gives us in Louisiana’s Sportsman’s Paradise. But we also have bugs, plants, and animals the rest of the country hasn’t even heard of (think LoveBugs and stinging caterpillars), and sunburns that turn dangerous more quickly than in northern states. Poisonous snakes can be deadly to anyone, and water moccasins near bayous or timber rattlesnakes that are small and come out of bushes or wooded areas are common to south Louisiana. Medical treatment should be sought immediately for any snakebite, and for any other sting, bite or burn a child is allergic to or that is causing a serious reaction. EpiPens may be necessary when allergies are known, and parents should always have first aid kits as well as know emergency treatment for bee stings, wasps and hornets, jellyfish stings, mosquito bites, horse flies, black flies, blistering sunburns, poison ivy, poison oak, and poison sumac. Make sure your children are aware of what poison plants look like, especially those with pretty berries. The Louisiana heat causes dehydration quickly. Most parents don’t understand how much water kids should drink when outside. Kids need to drink fluids continually before, during, and after exercise or play. They need to take breaks from the hot sun and wear light clothing. Summertime often means travel and family daycations. It also brings children in contact with strangers that results too often in kidnapping. South Louisiana ranks in the top of all areas of the U.S. for child trafficking and kidnapping according to Trafficking Hope in Baton Rouge. According to founder Laura Domingue, “We have easy on-off Interstate ramps to hotels, are near the coast, and unfortunately, have the demand here for child trafficking.” New laws have made Louisiana’s penalties the toughest in the nation, but we need to educate children about strangers and dangerous situations. Karen Ahmad states that for every one childhood fatality reported in the media each summer, there are 50 severe injuries we don’t hear about. Many of these in the summer are also from injuries by falling in unfamiliar places or from getting into unsecured medicines when traveling. 1. Have a game plan. Before you go, talk to your family about what to do if someone gets lost. 2. Take a family photo the day of your trip. This helps park security locate your kids in the clothes they are wearing that day. 4. Be Stroller-Savvy. Do something to distinguish yours from all the others, like tying a balloon on it.